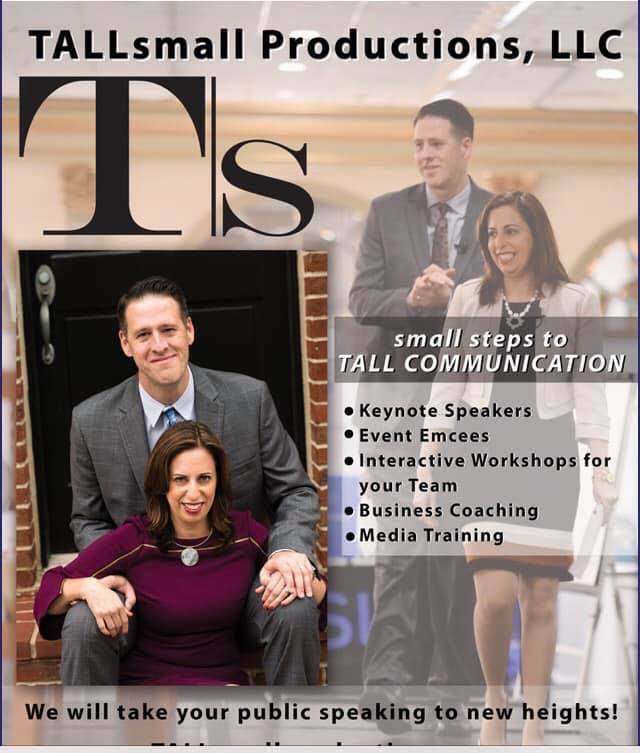 Rebecca Klein Scott and Keith Scott lead communication workshops and deliver keynotes for clients ranging from Fortune 500 companies to family owned businesses and everything in between along with business and public speaking coaching. Interactive courses cover such topics as networking to get noticed, communicating across generational divides, body language, conflict resolution, sales and media training. Keith and Rebecca frequently make TV appearances, weighing in on the impact of communication in politics, news and daily life. TALLsmall Productions is a nod to their heights; Rebecca is 5'2"and Keith is 6'9".